IT’S more fun in the Philippines, so says the government’s new tourism marketing slogan. Here at the BusinessMirror, we definitely agree. So beginning today, and every Monday thereafter, we will bring you the best of the Philippines—popular tourist spots, as well as destinations off-the-beaten track that readers can visit on short weekend trips, or explore on their grand holiday vacations. With Travel Bites, we will stun you with the breathtaking vistas in the country, and put you in touch with the kindness and hospitality of our kababayan (fellow Filipinos). To every tourist, the Philippines offers a unique experience where one’s enjoyment is measured not only by the spectacular sights, but also by the Filipinos’ own brand of fun and recreation, served up with a whole lot of heart. So what if it’s hot and humid, claustrophobia-inducing and crime-riddled? Beyond all that, Manila is one of those cities in the world that pulsates with activity from dusk ‘til dawn. There are many establishments that appeal to every kind of tourist, at any hour of the day or night. Sure, it’s crowded and traffic is a mess, but within its boundaries are also accessible pockets of comfort and calm. There are lush parks, havens of wellness, a myriad of restaurants offering simple fare to decadent meals, and a glorious sunset over Manila Bay to set many a romantic heart’s a-flutter. Tourists, especially from the neighboring cities are most welcome to join the fun! Historical tours. The old Walled City of Intramuros offers a glimpse into Manila’s colonial past with its Spanish-influenced buildings and churches, American garrisons and a showcase of items from national hero Jose Rizal’s last days at Fort Santiago. Hop aboard Carlos Celdran’s tours for witty anecdotes of life under our country’s colonizers Walk This Way, or the Mabuhay Tour Guides (Call T# 896-5523/63917-846-5729). Memories at Manila Hotel. Already renovated for a more modern aesthetic, the hotel lobby with its spectacular chandeliers hanging overhead and a stringed ensemble playing music offers guests a quiet respite from the city’s chaos. Foodie haven. No other restaurant serves Filipino comfort food as authentic as Bistro Remedios (T# 523-9153). Dishes that always wow the palate of the most discriminating tourist are the Pako at Itlog na Maalat (Fern Leaves Salad with Salted Red Egg), Crispy Tadyang (Marinated Beef Ribs) deep fried to a delicious crispiness, and Gising-Gising (minced stalks of swamp cabbage spiced with small chilis and simmered in coconut cream). Art spaces. At the Metropolitan Museum of Manila (T# 708-7827/524-0876), beside the Bangko Sentral ng Pilipinas (BSP) along Roxas Boulevard, runs an exhibit of Chilean painter Claudio Bravo’s works produced in Manila in 1968. Also ongoing until December 15 are the latest paintings and sculptures acquired by the BSP, including new works BenCab, Gary Custodio, Rodel Tapaya and other Filipino artists. Those into plays or musicals must not miss Andrew Lloyd Webber’s The Phantom of the Opera at the Cultural Center of the Philippines Main Theater until October 19. For tickets and a list of other cultural events, go to TicketWorld . Chinatown stop. 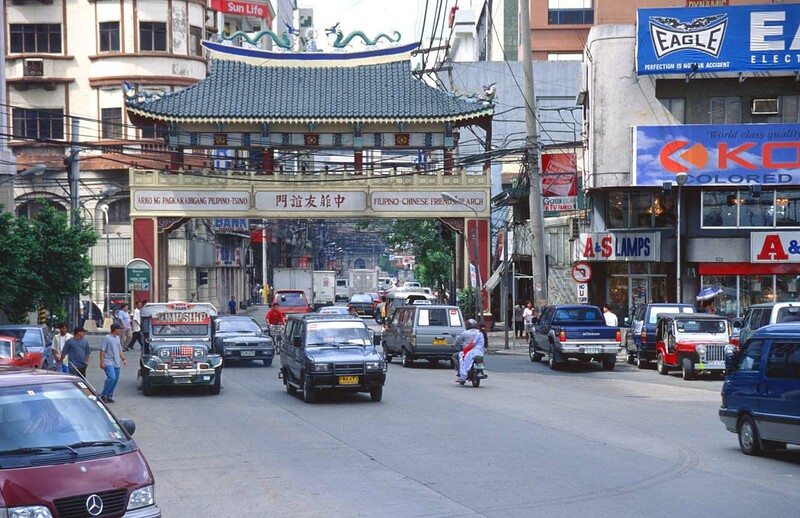 This tiny enclave where Chinese-Filipinos traditionally live is a haven for old-style Chinese cuisine; drugstores selling medicinal herbs and roots; and stores offering delicacies such as mooncakes, hopia, tikoy and ampaw. (Take any jeepney going to Santa Cruz, Manila, and go down Ongpin Street). Binondo is also site of one of the oldest churches in the country—the Minor Basilica of Saint Lorenzo Ruiz, or simply, Binondo Church, a baroque-inspired edifice originally built in 1596. For a Buddhist flavor, visit the Kuang Kong Temple on Kipuja Street to ask special favors from the gods by praying and burning incense sticks. 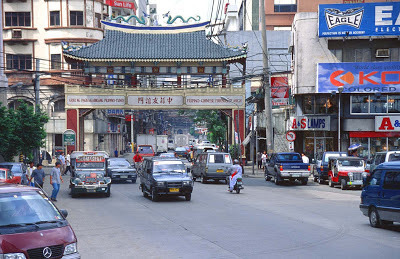 For guided tours of Binondo, contact Ivan Man Dy at Old Manila Walks . If gaming is your thing, try your luck at the various Casino Filipino branches in the city: Heritage Hotel (Roxas Boulevard and Edsa), Waterfront Manila Pavilion Hotel (United Nations Avenue, Ermita) and Hyatt Hotel and Casino (1588 Pedro Gil and M.H. del Pilar streets, Malate). For a romantic interlude, take a sunset cruise around Manila Bay via Sun Cruises (T# 834-6857 to 58 or 527-5555), then get a brisk but relaxing footmassage by a trained reflexology therapist at MTO Spa (1709 Apolinario Mabini Street, Malate). Where to stay. Manila Hotel by the bay for the pomp and old world glam; CityState Tower Hotel (#1315 A. Mabini St. Ermita/T#708-9600 to 09) or Cherry Blossoms Hotel (#550 Jorge Bocobo Ext. Ermita/T#708-9901 to 06) for the value-for-money, quality guest service experience.